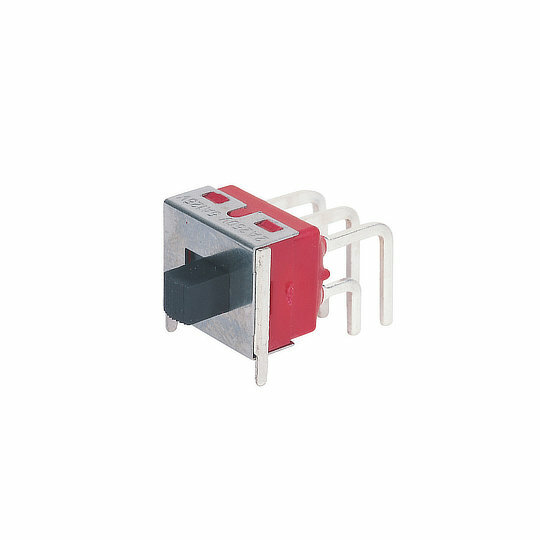 The 5M series of slide switches from Dailywell are single or double pole, double throw switches with slide action and a choice of switch functions. Electrically rated to 5A at 120VAC/28VDC or 2A at 250VAC in silver or gold over silver contacts or 0.4VA max at 20VAC/DC in gold contacts and a mechanical life of 30,000 make and break cycles. The 5M series of slide switches from Dailywell are single or double pole, double throw switches with slide action and a choice of switch functions. Electrically rated to 5A at 120VAC/28VDC or 2A at 250VAC in silver or gold over silver contacts or 0.4VA max at 20VAC/DC in gold contacts and a mechanical life of 30,000 make and break cycles. Available with solder lugs, quick connect, wire wrapped and straight or 90° PC pin terminations alongside a choice of 7 actuator heights and 9 actuator colours allows design engineers the to customise the 5M series to better meet their requirements. The 5M series are perfect for applications such as Home Appliances, Computer Peripherals, Industrial Control Systems, Automatic Machine Control and Audio-Video Equipment.